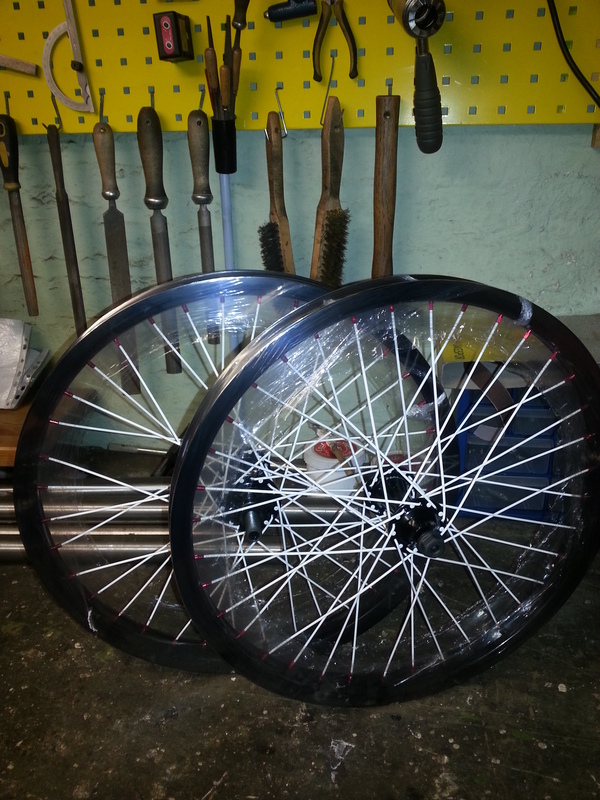 Yourspokes is a custom wheel building company based in York run by Dylan Thomas. 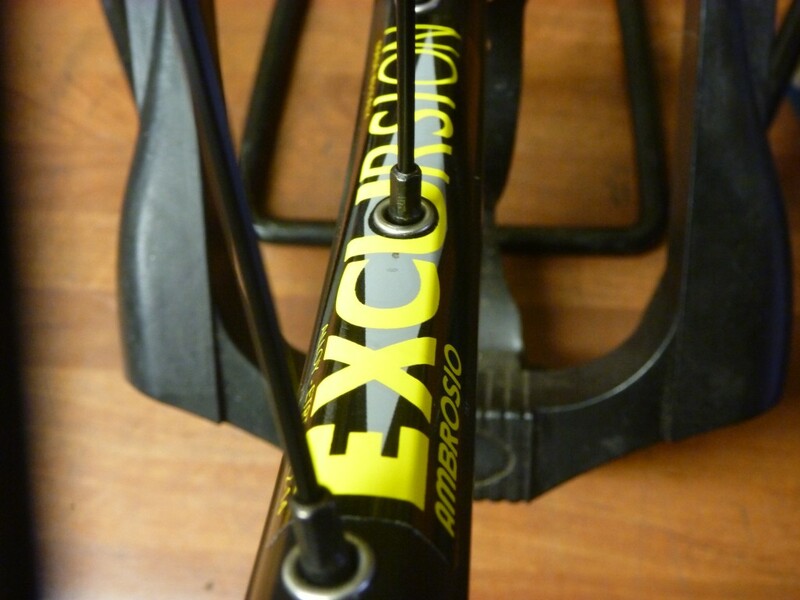 Dylan has a lot of experience in cycling, as well as building wheels he can advise you on any part of the bike you wish to repair. 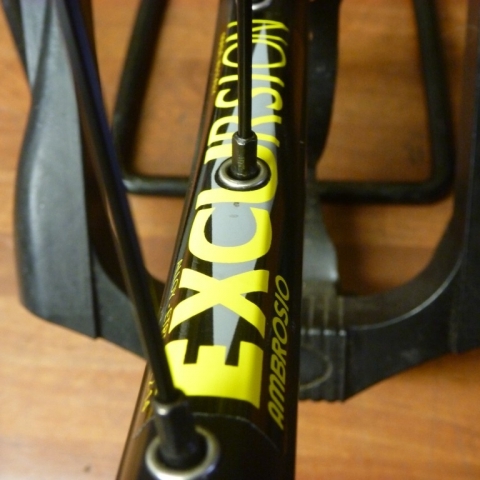 He is also producing 36er frames and wheels for you to build up into one of the best bikes you will ever ride! They only come in frame/wheel sets so you are free to pick what components you like. We can supply Sapim CX ray spokes, Campagnolo hubs, Miche hubs, Hope pro 2 mountain bike hubs and the Hope pro 3 racing bike hubs, all the Shimano parts like XTR, XT, LX, Mavic rims, DT Swiss rims. 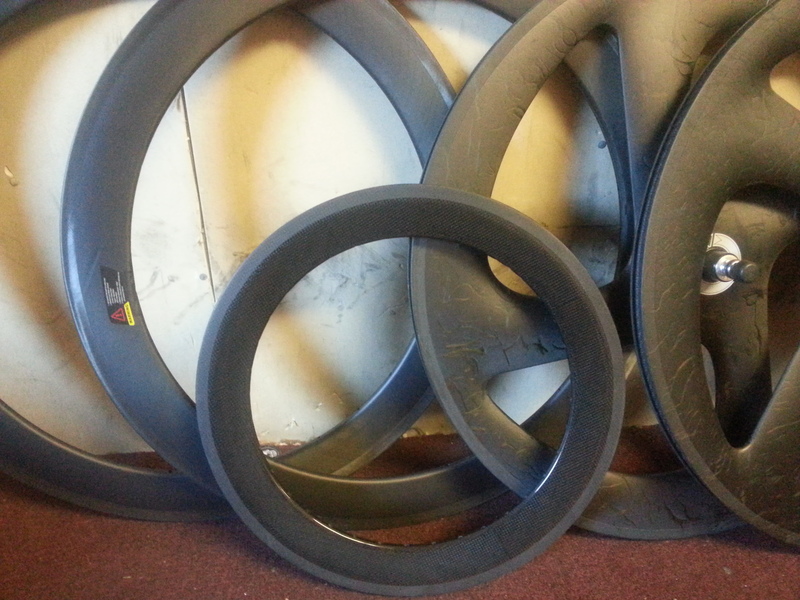 Not forgetting the best touring bike rims Rigida. 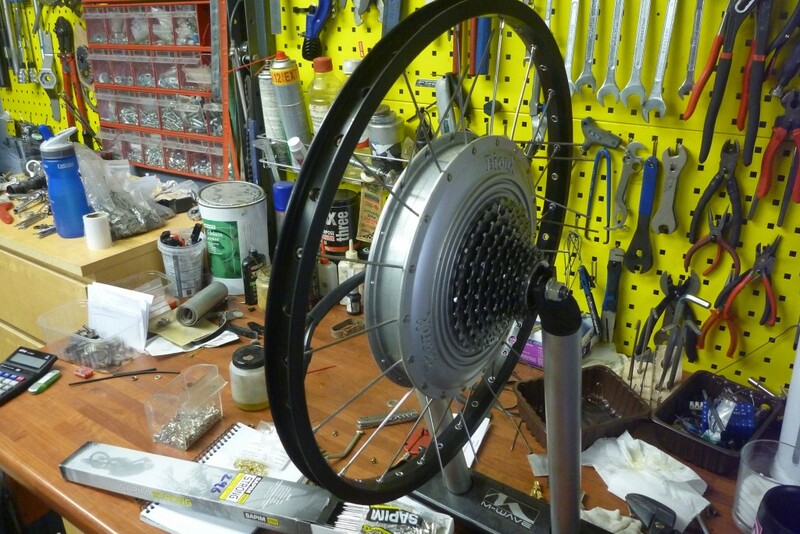 We will be happy just supplying the parts for the home wheel builders out there or if you wish we’ll build them for you for just a small charge. 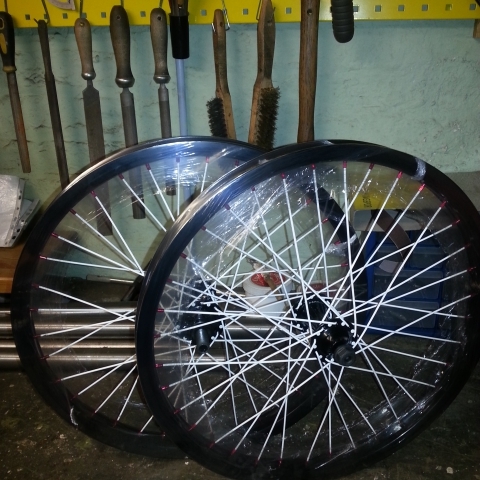 We build almost any wheel you can think of from 12″ up to 36″ wheels (Yes 36″ mountain bike wheels) and for almost any sort of Unicycle, Bicycle, Tricycle and Quadricycle you own. 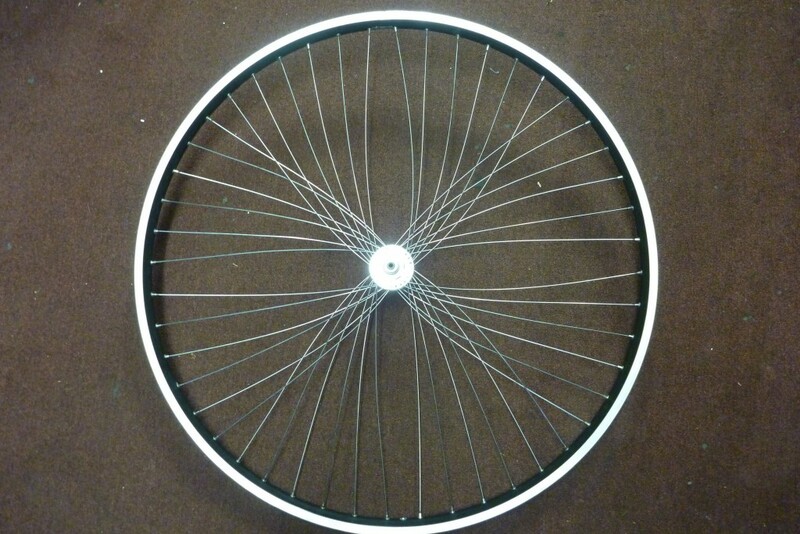 We also have of Brompton spokes, Birdy spokes, Moulton spokes and Bike Friday spokes in stock. 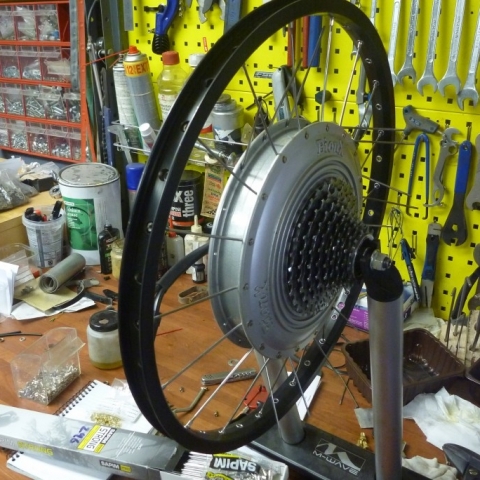 Wheel building. 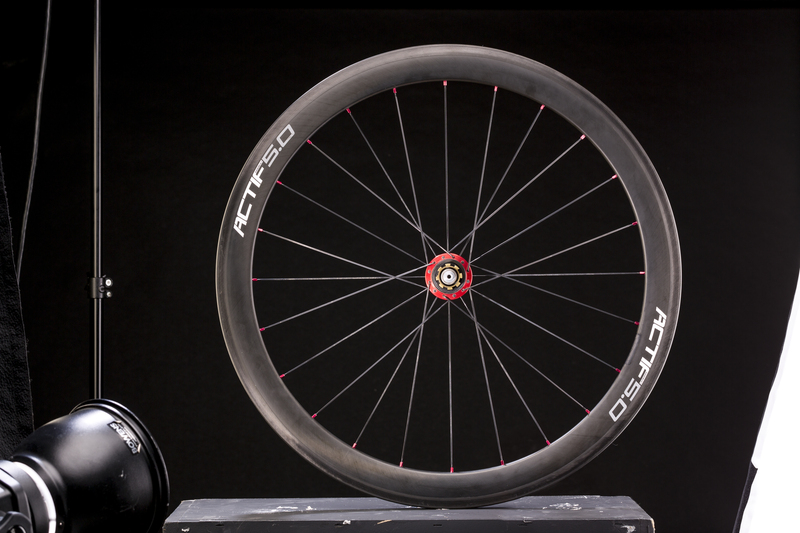 From race spec to electric to full carbon, we have the perfect wheels for your cycle. 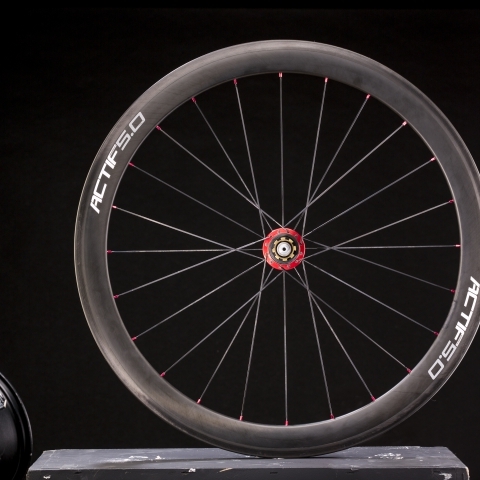 Custom wheel building gives you exactly the wheels you want to suit your bike and suit your riding conditions, while at the same time being stronger and more robust than factory-built wheels. 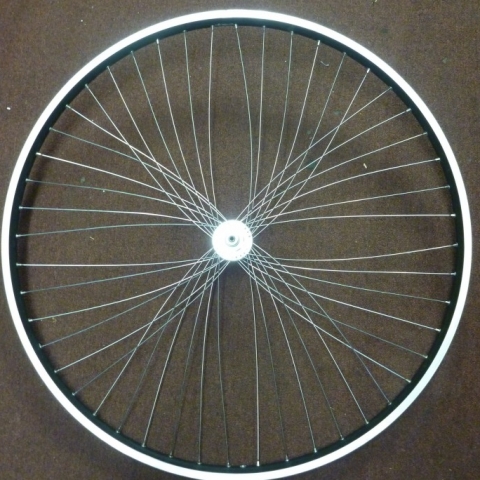 Please see our wheel gallery for just a few examples of what we can offer. 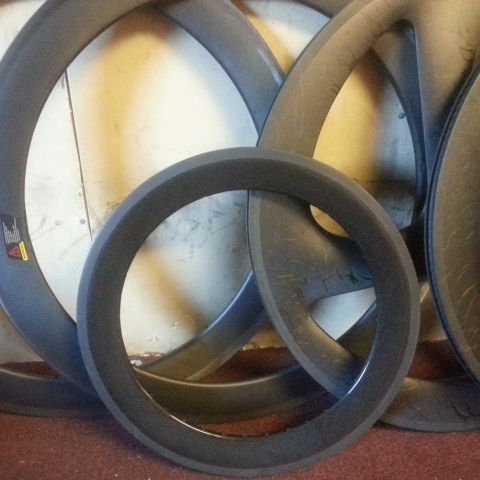 And if you have any wheel or bike related query, just give us a call for a friendly chat about your requirements.